Want to know what’s on in Sydney this Easter long weekend? Here are some cool Easter activities to keep your tribe busy. 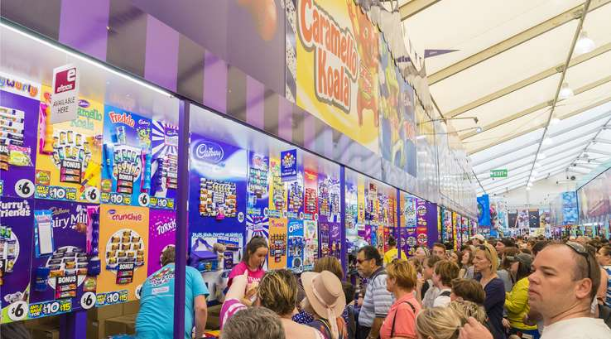 There’s something for everyone at the Sydney Royal Easter Show. The tribe will love the Kids Carnival with rides for younger ones, or the Coca-Cola Carnival for more thrill seeking rides. 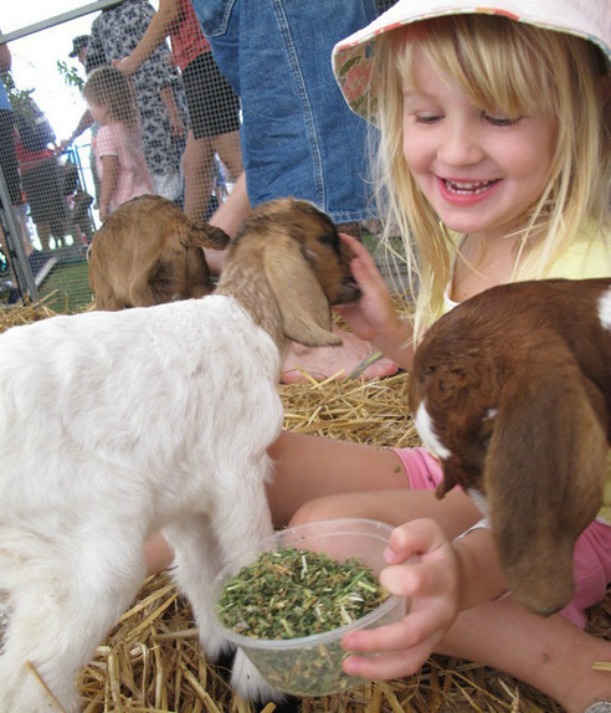 The animals are another must with nusery farmyards, puppy and dog shows, pony rides and more on offer. Foodies will be delighted by all the options including the Woolworths Kitchen with demonstrations and more and of course you’ll need to head to the Showbag pavilion to find a bag of goodies to keep the tribe entertained all weekend. Which Botanic Garden is closest to you? All of the gardens have organised a weekend full of egg hunting, activities, egg themed stations and a visit from the Easter Bunny. You must book your tickets online for one of these fun family events! But hop to it – Centennial Gardens egg hunt is already sold out. 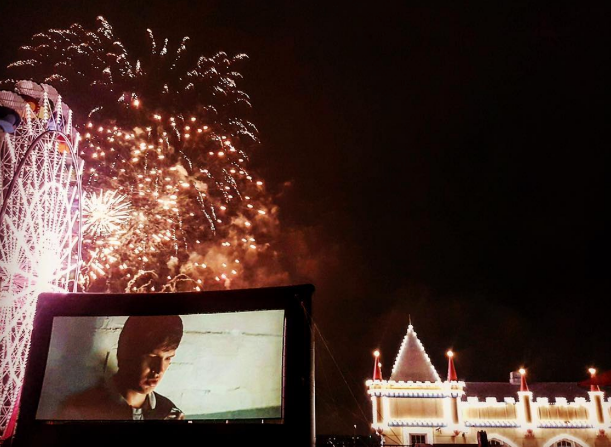 Luna Park’s Rooftop Cinema is back this Easter by popular demand! Catch family favourites such as Jumanji (March 29) and Coco (March 31) over the long weekend. Grab yourself some popcorn and enjoy seeing Luna Park lit up at night while you watch a flick on the roof of Luna Park. 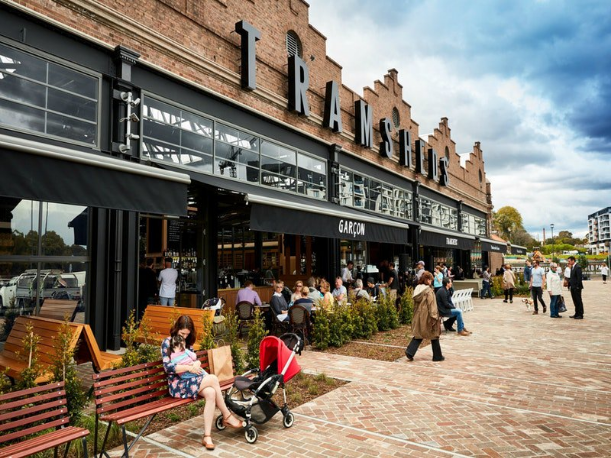 A visit to the Tramsheds this weekend is guarnteed to be fun for all with lots of different offers and events taking place. Gelato Messina has a special creme eggs dessert to order, or take the kids to Flour, Eggs, Water for a 2 hour hands on cooking workshop. Or turn up for one of the Lotsa Bunnies Easter Egg Hunt events running every 15 minutes. The kids have to search for coloured bunnies among 100 ceramic bunnies. Collect the tokens and claim an Easter prize! The Grounds famous giant chocolate Easter egg is back and this year, they’re going to cover it in 100s and 1000s before cracking it open and sharing it with everyone on Easter Sunday. It’s 500kg worth of chocolate egg! There will also be Easter entertainment for the kids on Easter Sunday, tribes can enjoy the laneway floral installation and if you’re there on Saturday, there will be an egg hunt in the gardens. Plus be sure to check out the Easter cookie decorating class on Easter Sunday for kids. 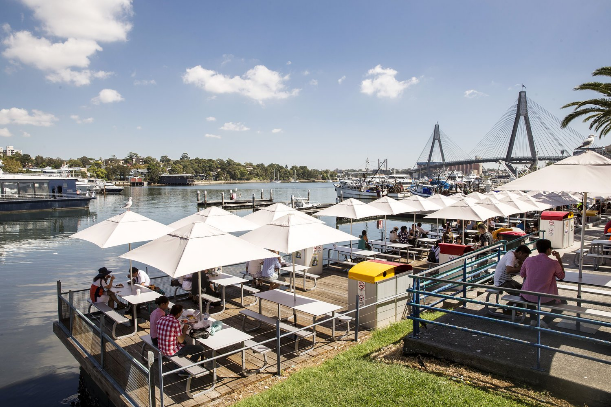 The Sydney Fish Markets is the perfect place to head for lunch on Good Friday. Feast on fresh seafood and the tribe will enjoy a visit from the Easter Bunny who will be handing out eggs all long weekend. You can also get your paws on fresh hot cross buns and take advantage of extended trading hours over the long weekend. 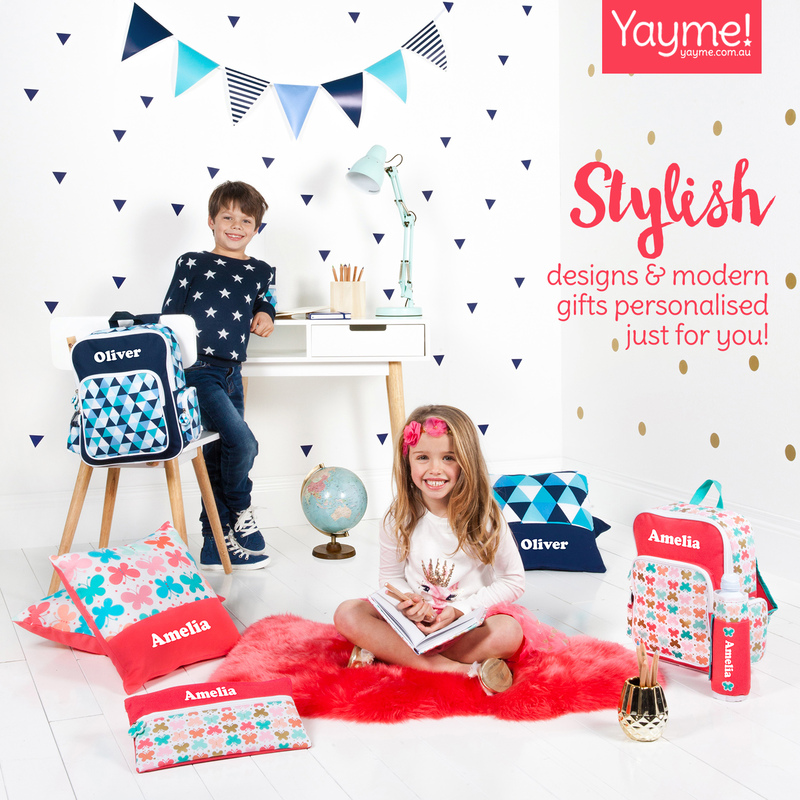 We took the tribe to the Sydney Family Show last year and it did not disappoint. This show has free entry which makes it an affordable and fun day for the tribe with everything they’d want to do including rides, sideshow games, show bags and petting zoos. There is even free parking if you park in the Entertainment Quarter for 2 hours or less. 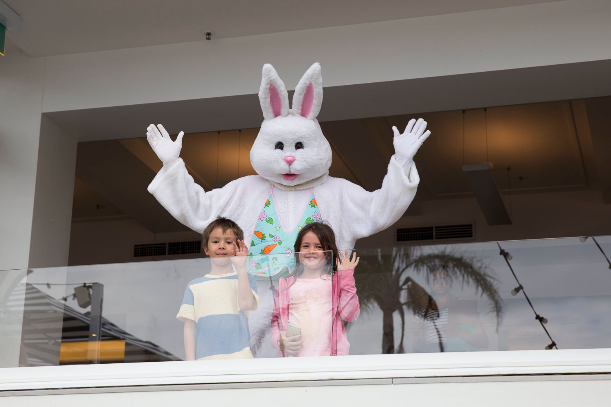 Enjoy the festivities at Watsons Bay Hotel with daily Easter Egg Hunts in Robertson Park with the Easter Bunny. Or check out the Aqua Egg Hunt on Watsons Bay beach front. You’ll need swimmers, a towel and a snorkel and googles would help! The whole family will love the Easter inspired eats including bunny themed pancakes and hot cross bun ice cream sandwiches! 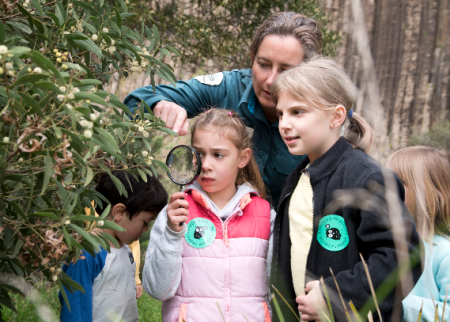 Wondering what’s on in Sydney during the school holidays? Check these ideas out.